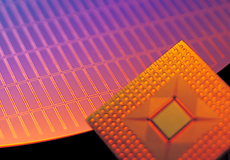 We provide high quality plating processes in various fields from semiconductor and electronics components to decorative products. Our advantage is our highly-skilled professionals can provide the best solution after adequately understanding the situation in which plating process will be used. 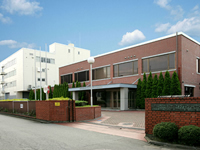 Electroplating Engineers of Japan (EEJA) of the TANAKA PRECIOUS METALS offers plating processes to meet customer needs. EEJA is a professional plating surface treatment company and provides a total array of technology solutions and services for surface treatment products needed in various fields, ranging from chemicals, equipment, processes and market information to consultation and other technology-related services. As part of TANAKA PRECIOUS METALS, the largest precious metal manufacturer in Asia, EEJA can assure the future of the stable supply of precious metal materials, regardless of any market fluctuations. EEJA has all kinds of analytical, measurement, testing equipments and instruments to achieve improved plating performance and cost reductions. As the evaluation of plating performance of samples that customers are currently produced is possible at our laboratory, in which the environment is close to a mass production one, we can provide plating processes per customer's specifications. You can experience sample processing here! Our outstanding expertise and extensive know-how will help lead your business to success. EEJA's plant tours are available. You are welcomed to have a test plating using your samples and our plating equipments. Case Study:Customers were demanding cost reductions. The secret to turning this crisis into opportunity lay with a bold move to change the connector plating process. 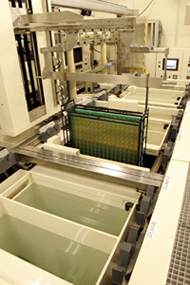 Case Study:With a difficult challenge suddenly imposed on a plating company by its customer, how did they achieve cost reductions and 20% improved productivity?